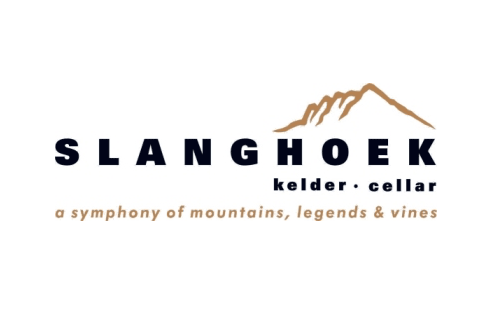 Slanghoek Cellar, situated along the increasingly popular Breedekloof Wine Route, has once again proved why its wines are worth seeking out among many other wine brands: top class drinking at a fraction of the price. This winery has steadily been gaining a reputation for producing wines that provide wine enthusiasts with quality drinking, no matter the price range, variety or style it is made in. It recently added weight to this claim by taking home the title of Best Value Chardonnay, for its Slanghoek Private Selection Chardonnay 2016, at the annual Getaway Best Value Wine Awards – leaving all other wineries in its wake, in a category with particular fierce competition. Wines entered into the Best Value Wine Awards all trade under R80 per 750ml bottle, and are adjudicated by expert wine judges, and awarded according to their price versus quality ratio. That Slanghoek Cellar achieved Best Value Chardonnay, translates that this wine offers the best drinking at the best price of all the wines entered. This wine scored an unbeatable 4-Star rating, and trades for only R50.00 from the cellar. The panellists were impressed by the serious strides Slanghoek Cellar has made in providing consumers with top-class wines: “Nowadays… the winemaking team is focusing its efforts on dry wines – and by attaining the top value rating of all the Chardonnay entries this year, it’s apparent that Slanghoek had made serious strides in attaining its goal of not only being recognised for sweet wines.” Also, what’s not to love about a 4-Star Chardonnay for R50?! The Slanghoek Private Selection Chardonnay 2016 is slightly oaked, with delicate whiffs of lemon on the nose with subtle lime and grapefruit notes on the palate. It is remarkably refreshing on its own, but makes for an amazing food partner to, especially, seared fish. We hope you enjoy this ‘find’ – and please, do not keep it a secret. The Breedekloof Valley’s geographic position, as well as fertile, varied soils and microclimate are reflected in the unique character of Slanghoek’s wide variety of renowned and prize-winning red, white, sparkling, dessert wines and port. Since the first harvest more than half a century ago, Slanghoek’s producers, viticulturists and winemakers have pledged their commitment to the cultivation of quality wine grapes and winemaking to yield premium wines year after year. Innovative technology and modern cellar equipment, enable the winemaking team to produce wines that boast sought-after titles and prestigious awards, of which, amongst others, include a series of coveted awards.